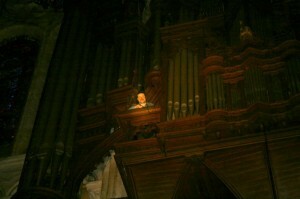 François Houtart, born in Brussels in 1956, impassioned himself for the organ when he was young. Initiated with the organ by Paul Sprimont, after his studies with the Academies of Liege and Brussels, he obtained the higher diplomas of organ of chamber music and, recently, the licence in composition. Both in Belgium and abroad, he took part in international academies of summer. 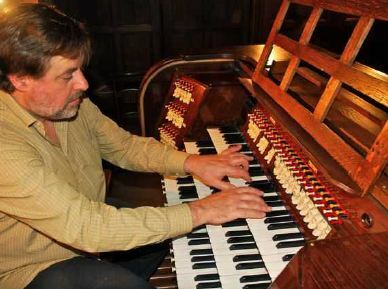 He is prize winner of the International Contest of Organ of Freyming, France. “Part-time lecturer” in 1987-88 of Hubert Schoonbroodt, he is currently a professor of musical and analysis writing to the Academy of Waterloo and professor of organ at Montigny-le-Tilleul. To Brussels, he conducts Schola Gregorian of the national Basilica of Sacré-Coeur and is an organist at the convent of Saint-Anthony de Padoue. He gave organ’s lessons to the International Academy of Summer of Floreffe, recently, in “Icon Arts” (contemporary music) in Romania and in Arequipa in Peru. 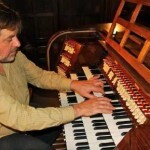 As organist-concert performer François Houtart occurs in Brussels since 1974, in Belgium and abroad: for various organizations and festivals. François Houtart is a composer, he currently has 24 opus with his credit.